The Knights of Columbus is the world's largest Catholic fraternal service organization. As Supreme Knight, Carl Anderson is the chief executive officer and chairman of the board of the far-flung organization, which provides charitable services, promotes Catholic education, and actively defends Catholicism and Christian values all over the world. 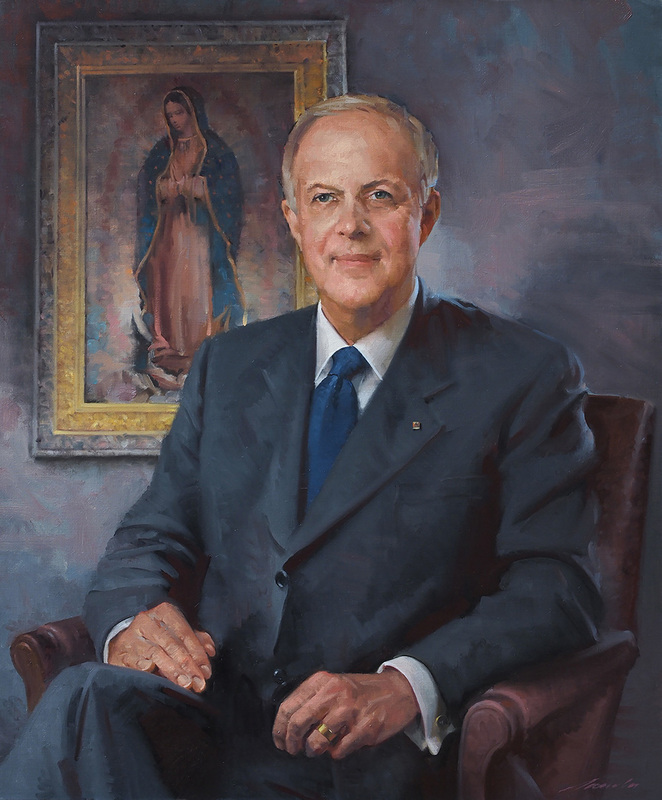 In this painting, Mr. Anderson is seated before a reproduction of the famous and beloved icon Our Lady of Guadalupe. The icon itself is displayed in the Basilica of Our Lady of Guadalupe in Mexico City, the most-visited religious devotional site in the world. 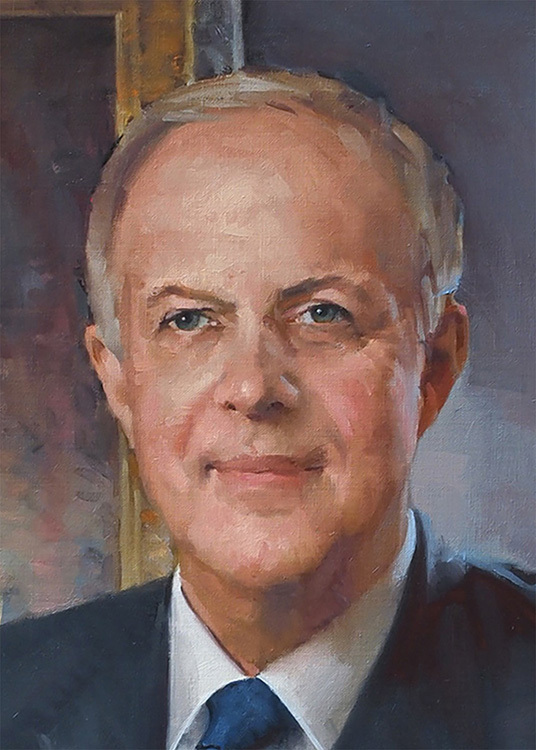 Mr. Anderson's portrait is part of the collection of The Knights of Columbus Museum in New Haven, Connecticut.